Jordan Brand is celebrating Tinker Hatfield’s birthday with a week filled with surprise Air Jordan 3 Retro drops. 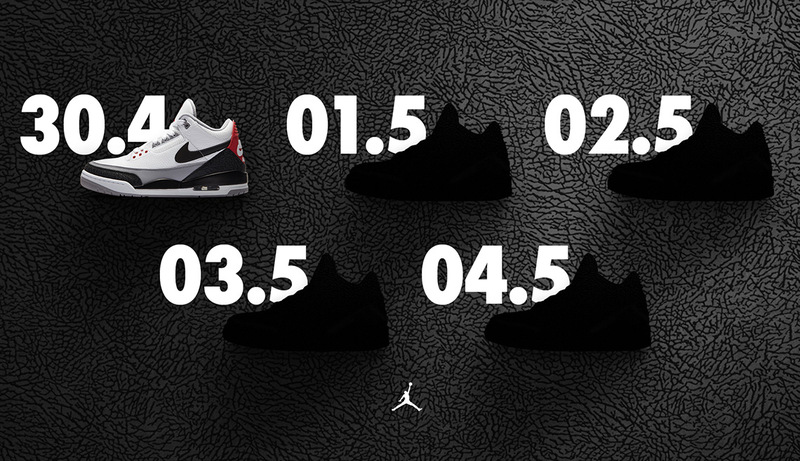 It began today with the re-release of the Air Jordan 3 “Tinker Hatfield”, but get ready for four more drops (one per day) through Friday, May 4th. 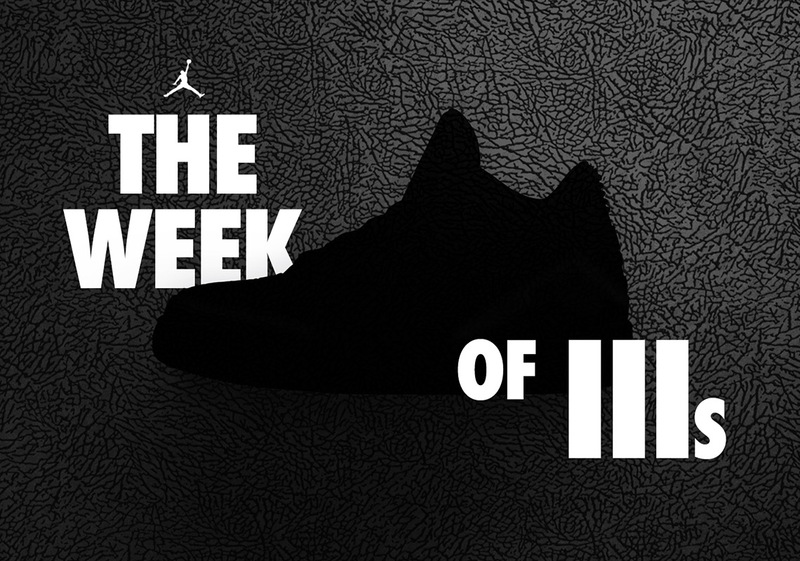 It’s not entirely clear what’s on the ledger, but it may very well be a restock of the Black/Cement III, the Air Jordan 3 “Free Throw Line”, the Air Jordan 3 JTH, and perhaps an early drop of the Air Jordan 3 “Katrina”. This release is exclusive to Nike SNEAKRS members (Europe’s version of Nike SNKRS), so if you’re situated in the accompanying regions, be sure to sign up for an account. Update: The first release on May 1 is the Air Jordan 3 “True Blue” dropping at 15:30 BST/16:30 CEST in EU/UK only. May 2nd: Day two of the Week of IIIs is a restock of the Air Jordan 3 “Free Throw Line” dropping at 15:30 BST/16:30 CEST in EU/UK only.